Ritual is a universal language that gives substance and meaning to our lives. 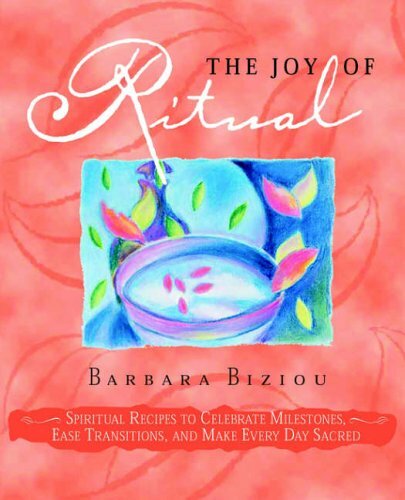 People are eager to honor the significant moments in their lives and Barbara Biziou, one of America's foremost ritual experts, teaches us how to restore ritual to its rightful place as food for the soul through practical, easy-to-use ritual recipes that are inspiring and fun. Rituals can enhance daily routines, enrich milestones, and guide us through difficult transitions. Whether you're releasing fear, bringing deeper meaning to a family or community gathering, or celebrating an important event, THE JOY OF RITUAL is like a wise best friend that reconnects us to our hearts and souls.